With all the herbs and formulas we study, how do we choose specifically which herbs and formulas to begin with, so they are not sitting on the shelf for long periods of time before being sold? As I mentioned in my previous blog, there are specific things you want to consider when building your herbal pharmacy. However, you don’t have to feel overwhelmed with ordering mass amounts of product to immediately fill your pharmacy. Start slow and work up to building it at the pace that will benefit you financially. 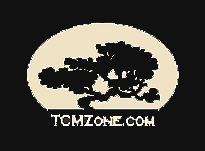 To learn more on how to build the custom herbal pharmacy that’s right for you, register for my complimentary webinar with TCMzone on Feb. 22, 9am-10am PT.